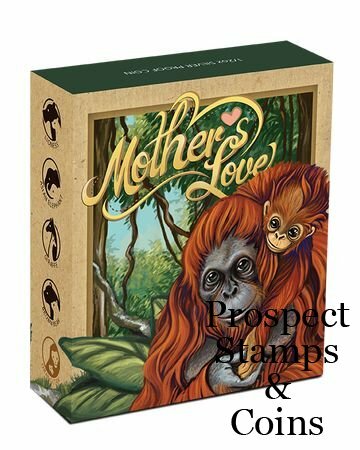 The fifth and final coin from the Mother’s Love series features a mother orangutan and her baby. The remarkable bond between a mother orangutan and her baby is the only true union among these great apes. Mother organutans nurture their young for a number of years, during which time they teach them how to climb, socialise and build their own shelter for sanctuary. 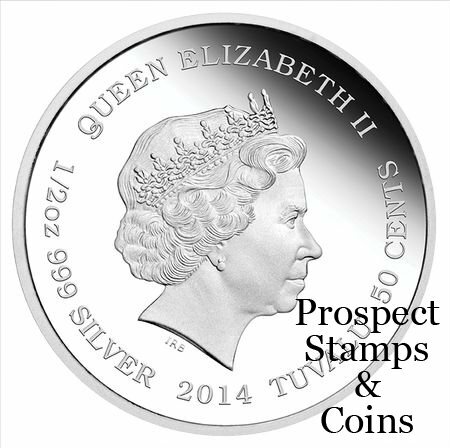 Struck by The Perth Mint from 1/2oz of 99.9% pure silver in proof quality, the coin is issued as legal tender under the authority of the Government of Tuvalu. 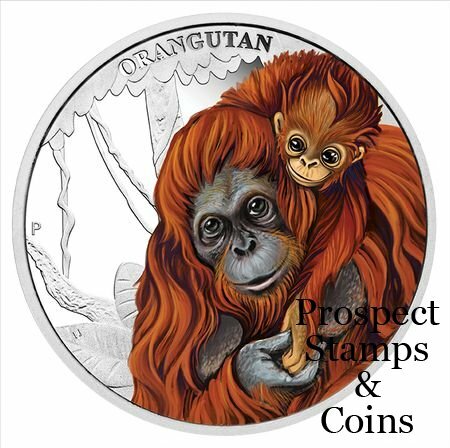 The coin’s reverse features a coloured baby orangutan climbing over its mother’s shoulder in the rainforest. 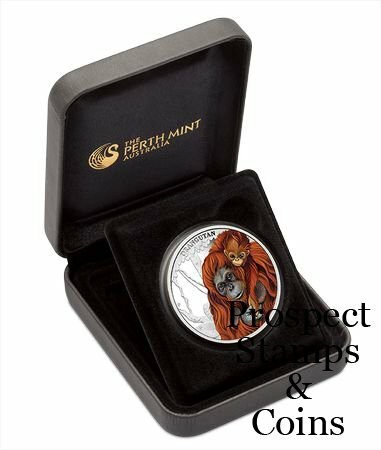 Accompanied by a numbered Certificate of Authenticity, the coin is housed in a display case and box-shipper portraying more stunning imagery.